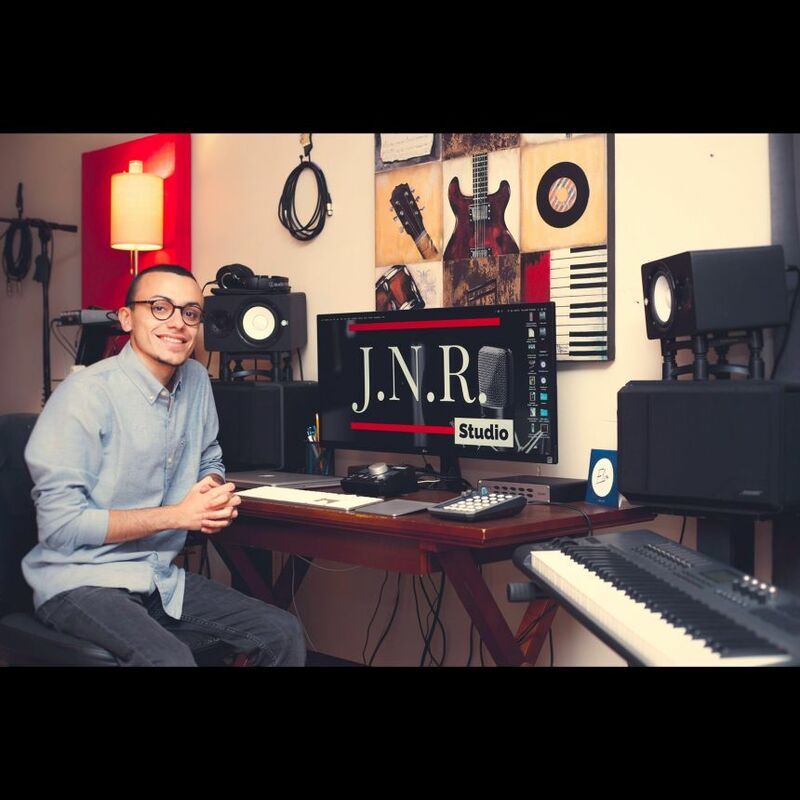 Hi, my name is Jeanmark Rodriguez owner of J.N.R. Studio and I'm a mixing and mastering engineer. I love to mix all types of music. I'm a musician by heart and got involved in audio engineering, instantly fell in love with it. I have 2 years on the field and currently finishing an associate degree in audio engineering. Let me take your creation to the next level. A: I Recently worked with Christian Latin rock band "ELIM". I was the producer of their first EP "Confia". I recorded, mixed and mastered their whole EP and it was a blast and a blessing. The band was really satisfied with my work. I was able to record them through an SSL AWS 924 studio console which got their songs to a whole nother level. I sum my mixes now through that console which gives it that beautiful analog color. A: Both. Why, because you literally get the best of both worlds. Analog for that beautiful warm and rich sound and digital to make the workflow easier. A: Seeing the look on my clients face when they are happy with the work I've done for them. A: What is your budget for this music project?, What is the main theme for your song? And what do you want me to accomplish with your song? A: My advice would be to listen to their music portfolio, the songs they have worked on and if you like how they work then go for it. A: I would take my Macbook Pro, my Avantone CV12 mic, a mic cable, a Focusrite Scarlett 2i2 interface and my ATHM50X headphones. A: I have been audio engineering for 2 and half years and I love it. A: I have been able to work with mostly Christian music, from pop Christian music to rock and many other in that genre. I don't only work with Christian music, I've mixed rap, country and folk even children's music. A: My strongest skill would be mixing, from simple small sessions to huge almost orchestral sessions. I love mixing. A: I always like to bring to every song: space, depth, and color; of course always listening to what the client wants me to accomplish with their song. A: When it comes to my mixing work process I usually hear what the clients raw recordings sound like and also hear how they want me to approach their song. Then I start by hearing the song in mono and raising and lowering tracks to where I can hear every instrument in its own space without EQ and compression. After I have a good mix in mono without EQ and compression then I start adding everything else. This work process has been great for me. A: My studio consists of a Saffire Pro 40 (modified by Black Lion Audio) audio interface, Macbook Pro 2012 quad-core i7, 16gb of RAM, my main mixing monitors are my Yamaha HS5 and for reference, I use my Audio Technica ATHM50x. I sum all my mixes through an SSL AWS 924 studio console. A: Graham Cochrane from the Recording Revolution page, Joe Gilder from Home Studio Corner, Andrew Scheps and Warren Huart are my main inspiration in music production. 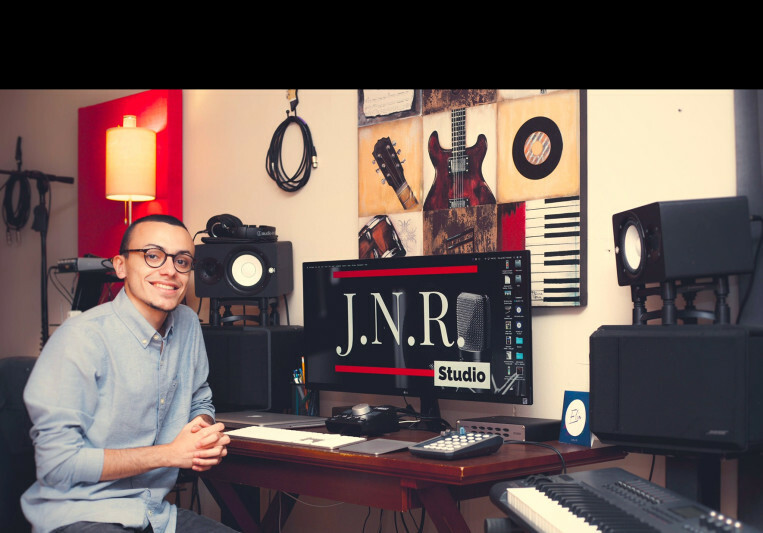 A: The most common work I do for clients, where I live (Puerto Rico), is recording, mixing and even producing. I've had clients where they don't have musicians to record their music so I've done all the instruments for their songs, which has worked out great.